Eleuthera Island | So Many Exciting and Beautiful Places! We arrived at Eleuthera Island, Bahamas early this morning. Princess has exclusive cruise shore rights to the island. The harbor is very shallow, so we tendered to shore. We could have opted to spend the time on the beach, but chose instead to visit the Leon Levy Nature Preserve, at almost the midpoint of the island. Eleuthera is about 110 miles long and only 2 miles wide. About 11,000 people live on this island (part of the total 350,000 population of the Bahamas). 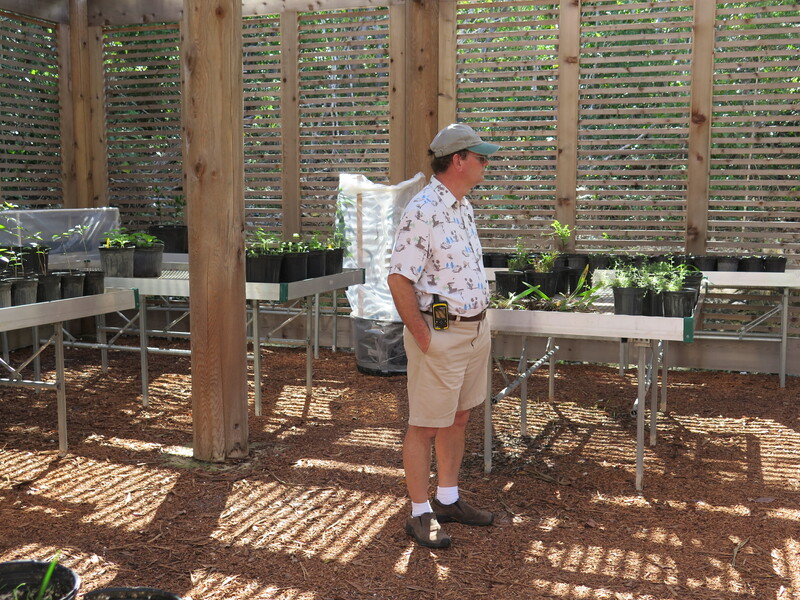 The Leon Levy Nature Preserve was established several years ago to preserve some of the Bahamian habitat, and is proving to be successful, with birds, insects and other critters coming back to this site. We did see some very large spiders, a few birds (could hear more) and some butterflies and other insects. Plant life is doing very well there as well. There are many orchids, but few were blooming at this time of year. Mark in the covered nursery. Gardens have been planted to try to study and increase some of the plants as well. Many of the plants and trees have been imported from other countries, but are now part of the habitat that is being preserved. Some only grow on one or another island of the Bahamas. 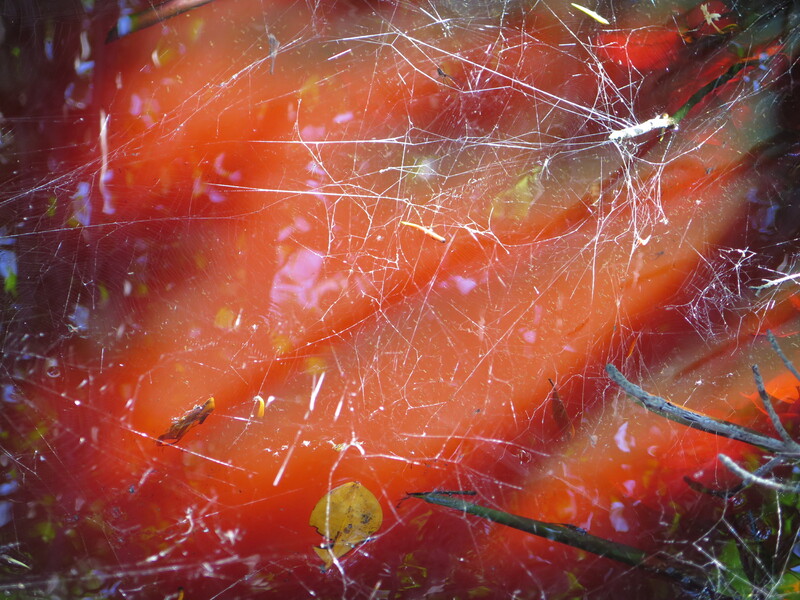 Spider web over water made red by Red Mangrove leaves. We stopped for lunch on the way back to port, and watched a demonstration of making conch salad. Someone asked when the conch dies, and was told “when it reaches the stomach). Poor things! Next, we were entertained by a Junkanoo dance. Very lively! Some of us chose to join the dancing. This entry was posted in Caribbean Travel and tagged Eleuthera Island, Princess Cays Bahamas. Bookmark the permalink.